Learn more about the Hansen Award and Lectureship and its creators, Richard and Barbara Hansen. 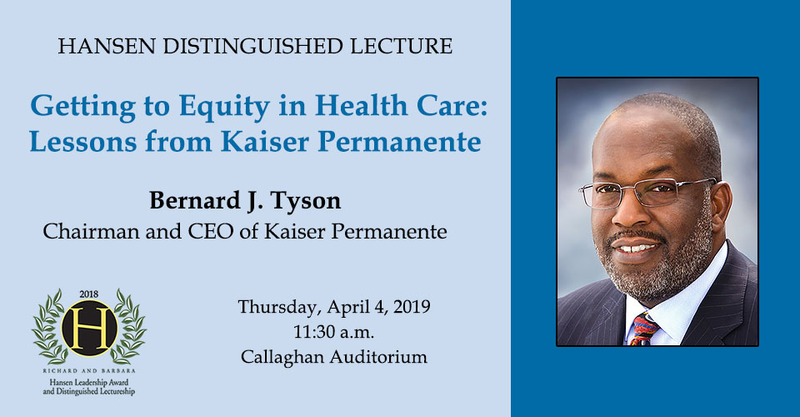 Kaiser Permanente chairman and CEO Bernard J. Tyson is the recipient of the 2018 Richard and Barbara Hansen Leadership Award. See biographies of past winners of the Hansen Award, along with archive video of their respective lectures.